Not even councillor Sean O’Reilly knows how to successfully navigate Dandenong’s ‘Kamikaze Corner’. At the Tuesday 14 June council meeting, he successfully asked for a report on the Scott and Thomas street intersection’s background and safety, and the feasibility and estimated costs for a roundabout, traffic signals, or other traffic initiatives. The report is due to return to council by the end of July. Cr O’Reilly asked engineering services director Julie Reid to explain who had right of way at the junction in a two-car scenario when one was turning. “The biggest one!’ was Cr Peter Brown’s tongue-in-cheek advice. Ms Reid provided a more in-depth explanation about who had to give way, and Cr O’Reilly questioned how many drivers would understand it. “We should all obey the road rules,” was Ms Reid’s response. Cr O’Reilly said he used the intersection quite regularly. “We can say that people should know the rules,” he said. “We can say that cars using this intersection should use a high degree of vigilance. “But this is the real world. Cr Matthew Kirwan said splitter islands and additional stop signs installed at the intersection in July last year had helped. “But this is still not a safe intersection,” he said. The motion followed a report in the Journal on 6 June that motorists were colliding daily at the intersection, according to nearby traders say. Aman Najimi said he’d spoken to the council “but no one listens”. “I’ve called the police many times. But they’ve never done anything,” he said. “My shop is exactly on that corner. The Afghan community leader said he was surprised when a roundabout that controlled the intersection was removed in 2009 and called for its return. A long-time campaigner for lights there, Lamis Albyati, first contacted the Journal in August 2014 after frequently witnessing crashes from her nearby office. “People are confused, they don’t know what to do,” she said. Ms Reid said an independent road safety auditor had assessed the intersection and found it to meet all relevant engineering requirements. “The council’s recent discussions with the police about this intersection confirm they don’t believe there is anything wrong with it, rather the issue is some drivers are not always adhering to the road rules,” she said. Ms Reid said traffic signals didn’t always improve the situation and could often result in more crashes of higher severity. “Additional streetscaping works will soon be implemented on Thomas Street, which may assist with increasing motorists’ awareness of the intersection as they approach,” she said. 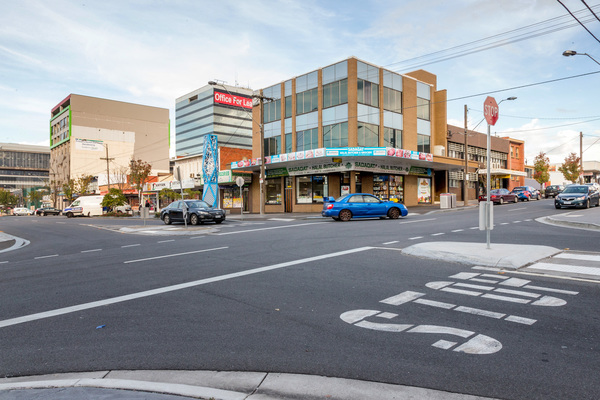 Dandenong Journal’s Facebook page was flooded with comments on the 6 June story, including one from Elaine Burke that the intersection was “more commonly known as Kamikaze Corner”. Shona Jean said it was “more hazardous now that the roundabout has been removed as people don’t know their road rules and go/give way when they shouldn’t”. She suggested signage along the lines of “all turning traffic must give way”. Catherine Boots said common sense had not prevailed with drivers or the council. “The council should upgrade the dangerous intersection and as for the drivers, if you don’t know the road rules and can’t read signs, it’s pretty simple – don’t drive and endanger the lives of those who can,” she said. Several commenters, including Amo Lochery, said that drivers needed to know the road laws. “It’s a dangerous corner because people don’t follow the laws of this intersection or the others in Dandenong,” she said. Duncan O’Reilly said the previous roundabout “worked perfectly fine”. Judi Miller said that “new Australian or not new Australian, you have an Australian licence you need to know the basic rules”. “All that put aside, the roundabout should be returned. It made life a lot easier for everybody,” she said. “A major intersection like this needs better traffic control than a couple of stop signs,” he said.